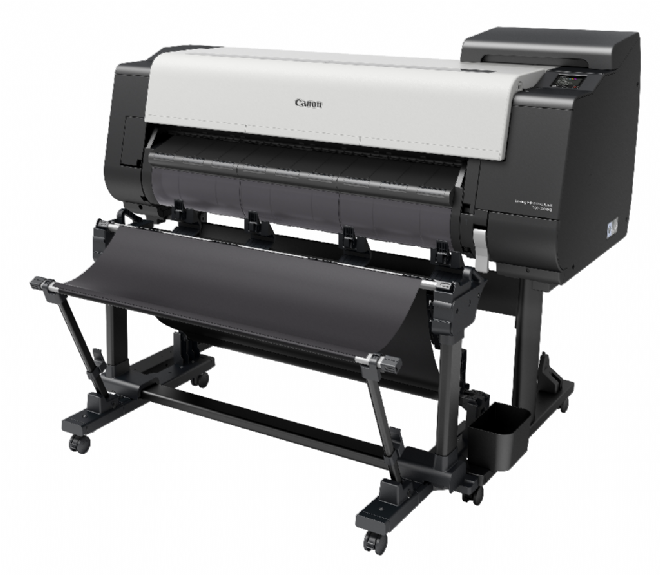 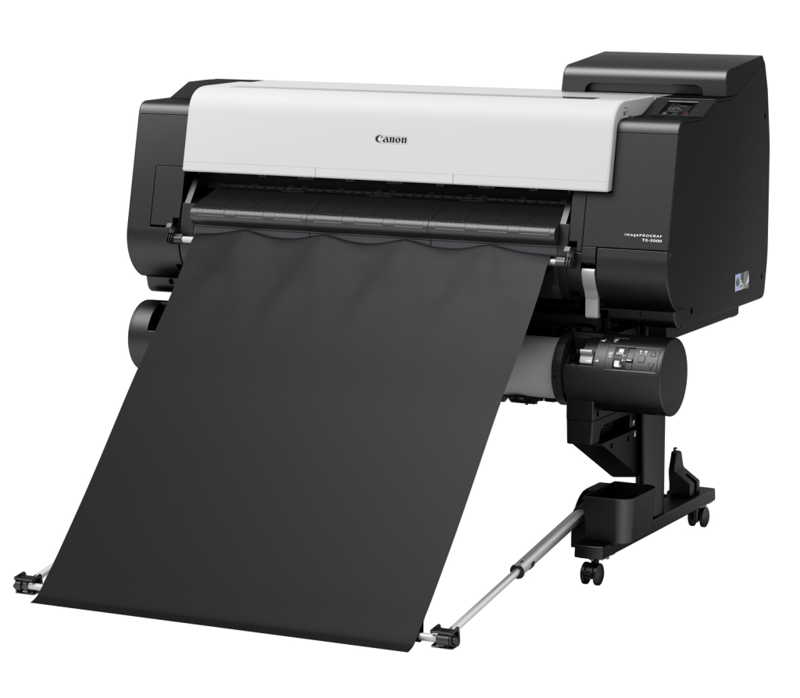 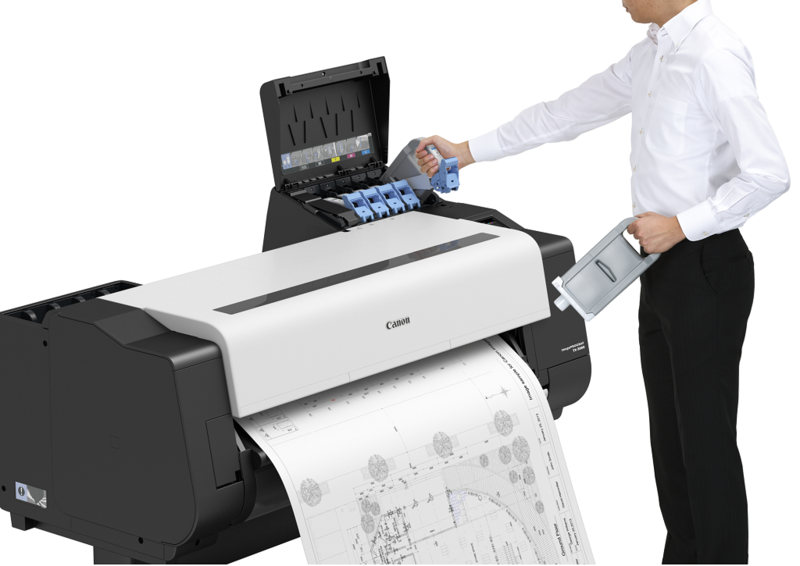 The Canon iPF TX-3000 5 colour pigment ink printer will print an A0 poster in less than one minute, 20% faster than its closest rivals but it also uses less ink and prints with higher definition than any other large format inkjet printers on the market. 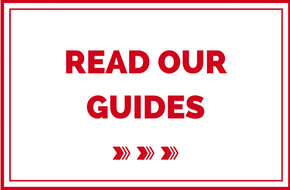 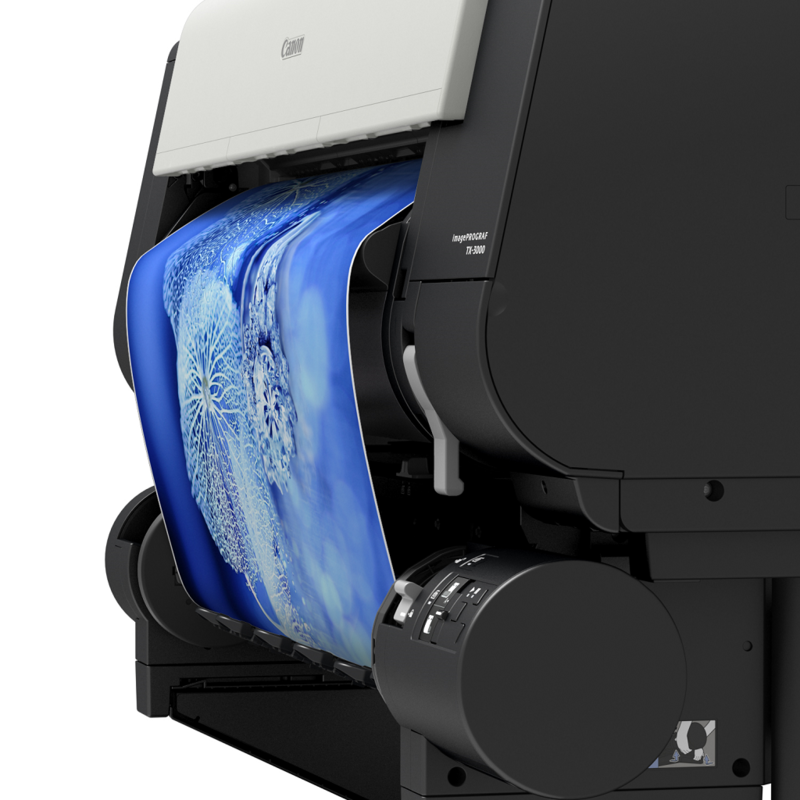 Hot swap, high yield ink tanks ensure save you time, reduce ink costs and ensure no poster prints are wasted during production to help maximise both throughput and cost efficiency. 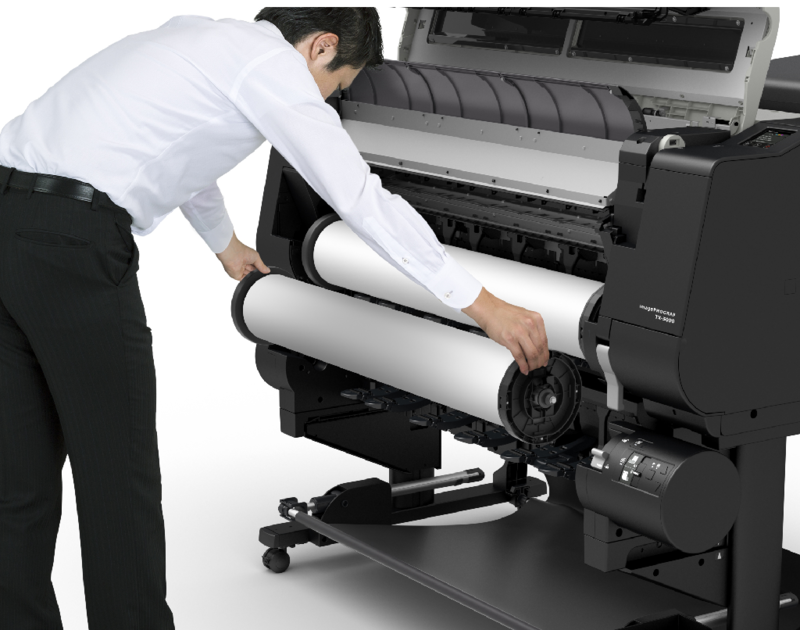 A dual roll holder lets you switch between different poster media rolls without having to leave your desk. The LUCIA PRO pigment ink system guarantees the high definition and lightfastness you expect from Canon.